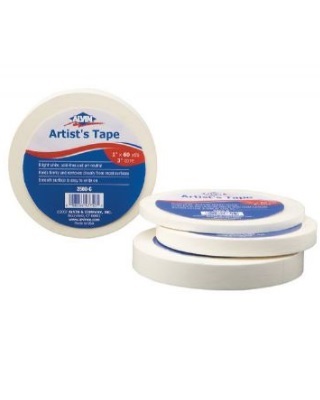 Easy-to-use, white, pressure-sensitive paper tape is ideal for masking errors and making corrections in either ink or pencil and on just about any surface including artwork, photographic negatives, drafting papers, and design boards. Leaves no shadow when photocopied. Bright white and pH neutral.